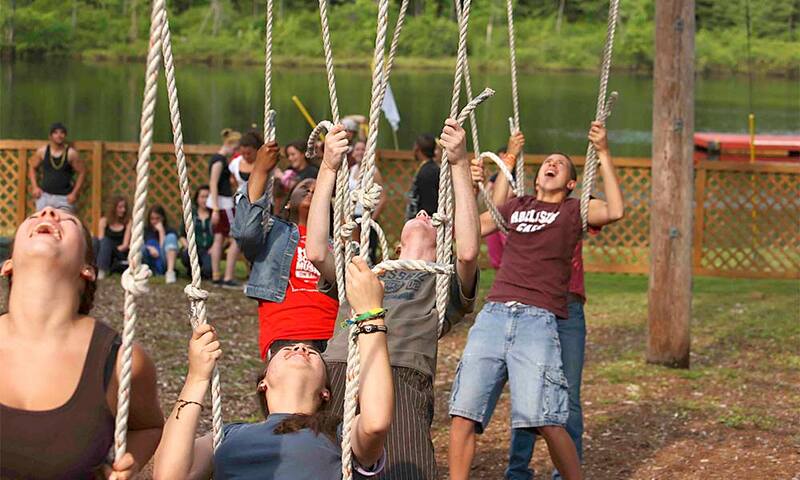 There’s a reason teambuilding exercises are so popular with corporate groups, schools and nonprofits: They work! Build camaraderie, develop problem-solving skills and open up new lines of communication with the fun and challenge of a teambuilding program led by Bryn Mawr’s experienced guides. 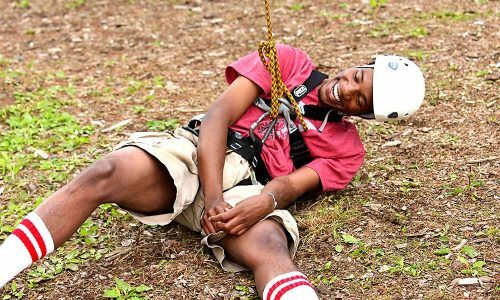 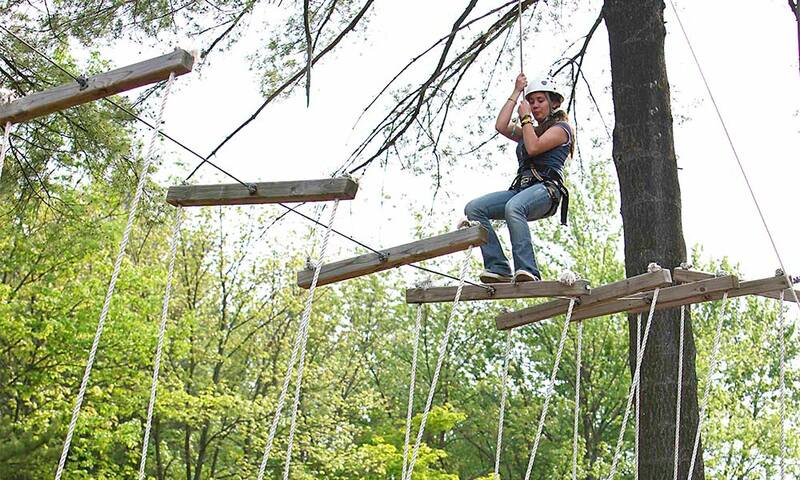 High or low, entry-level or advanced, our adventure course has something to challenge everyone. 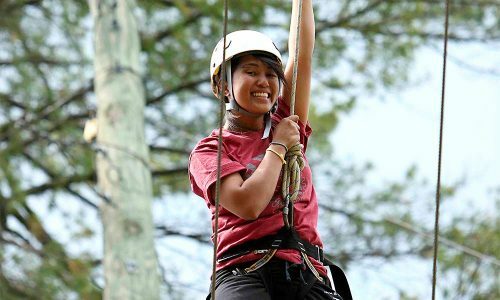 Your group will navigate unique obstacles in a safe, controlled environment with the guidance of our experienced leadership staff. Your adventure program will be guided by our staff of seasoned leadership facilitators. They’re trained to ensure your group has a safe and successful teambuilding experience, no matter your goals. Facilitated discussions and debriefing help participants understand what they have accomplished and how they can put it into practice when they get back to school, church, or the office. 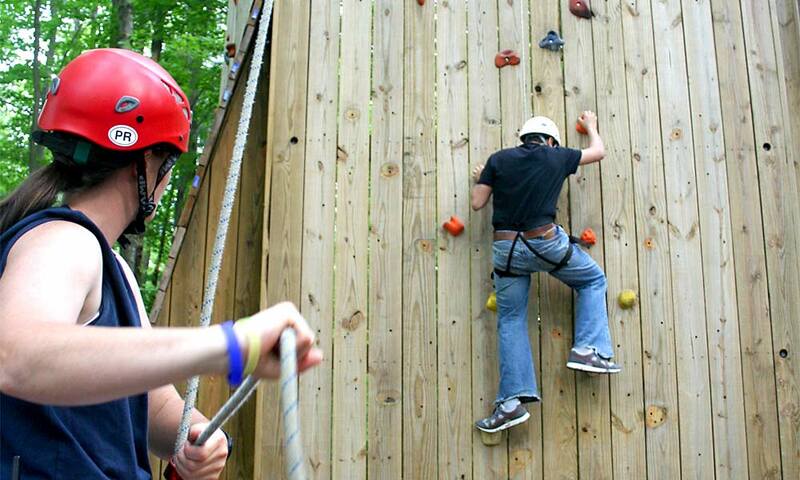 All of our activities are “challenge by choice” —meaning each person participates to the extent they feel comfortable. 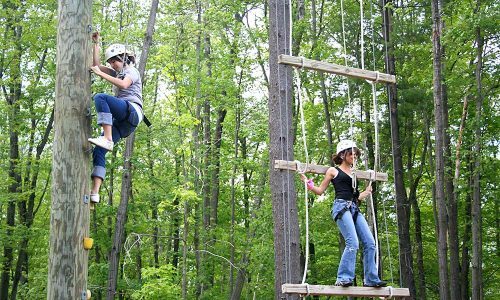 Teambuilding offers benefits for any organization, from youth groups looking for a fun way to build connections to corporate groups hoping to strengthen teamwork and communication skills. 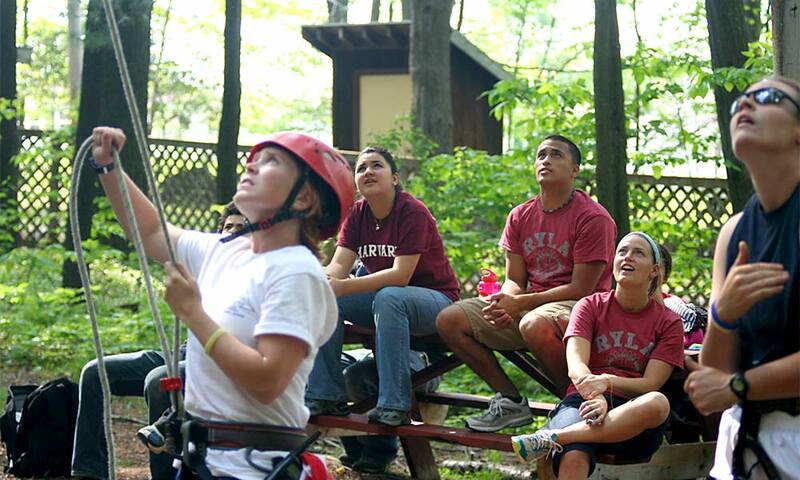 Contact us today to discuss your organization’s objectives and how teambuilding can help you bring them to fruition!